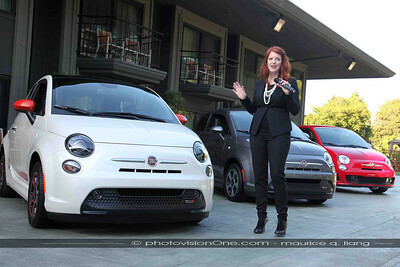 2013 Western Automotive Journalists Media Day in Monterey - April 22-24, 2013. 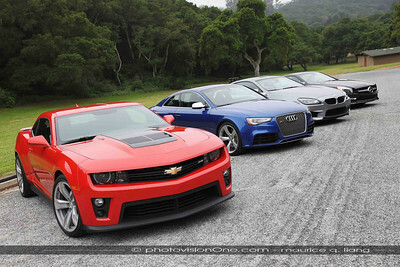 Just part of the fleet available for test drives by journalists. 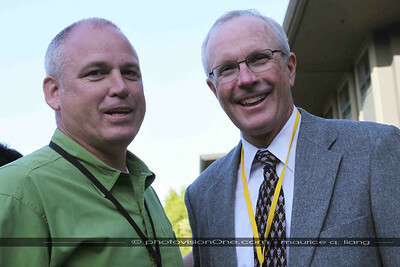 WAJ officers Jon Rosner (left) and David Ray. 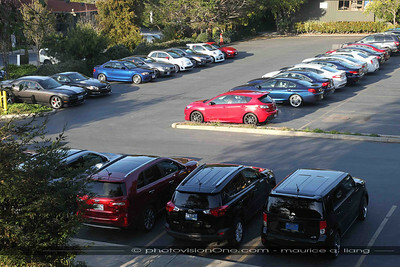 More of the test fleet. 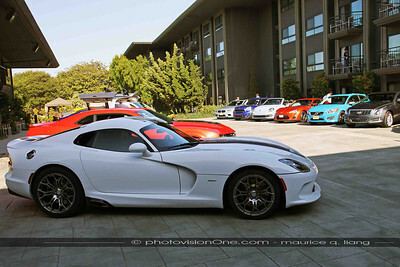 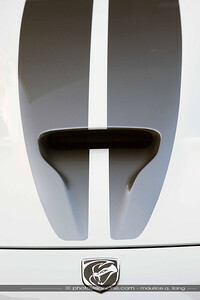 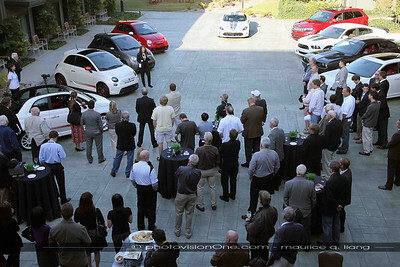 Event is sponsored by SRT and features the 2013 SRT Viper. 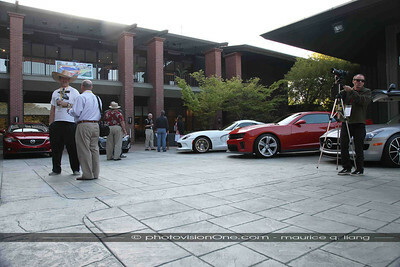 Some enticing hardware: Viper, Camaro ZL-1, and Mercedes SLS AMG GT. 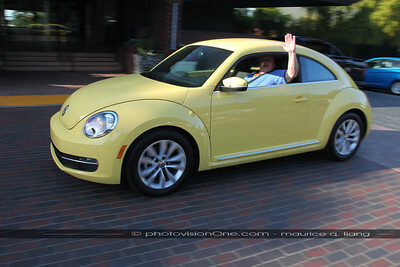 Famed photographer Ron Kimball in a "Sun Bug". 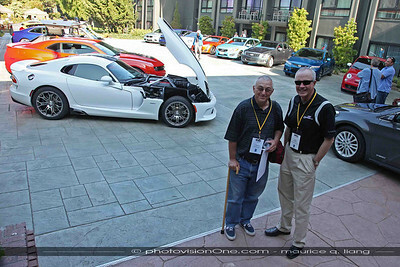 Chrysler West Coast PR manager Scott Brown with WAJ's David Ray. 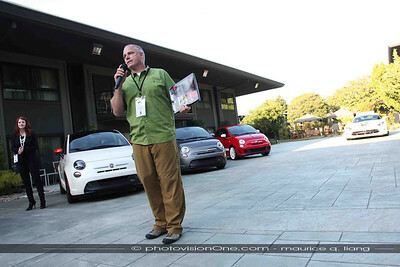 Scott kicks off the presentation by introducing the representatives from SRT and Fiat. 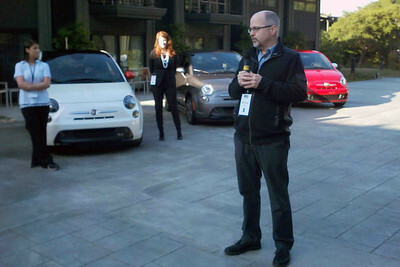 Steve Sharples, SRT Brand Manager, speaks on behalf of SRT. 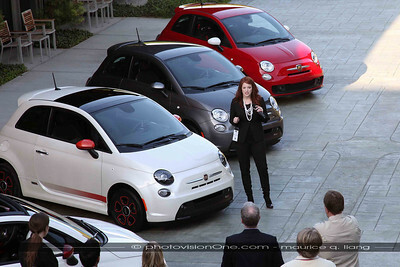 Nicole Longhini, Fiat Brand Manager, speaks about the new Abarth and Fiat's plans for the U.S.
Allison Singer, VIR for the Abarth, talks about the new Abarth. 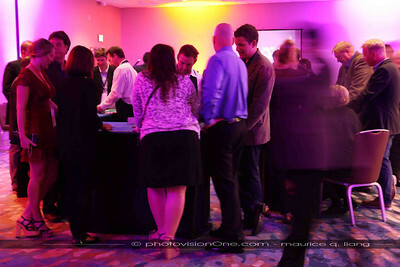 Dinner and Casino night are sponsored by Toyota. 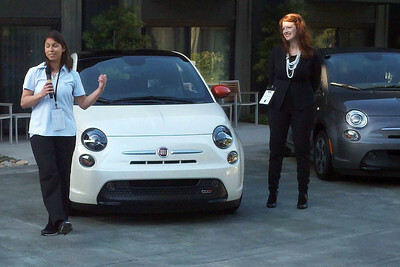 Day One is on-road tests. 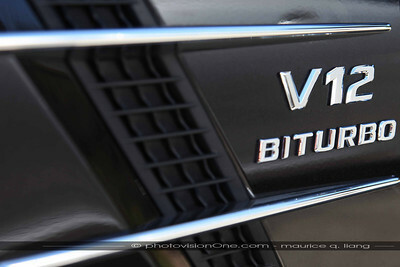 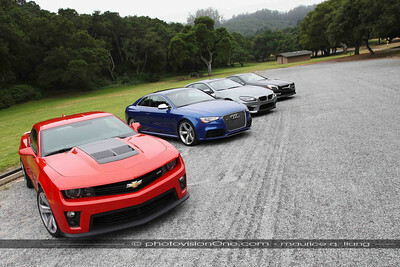 Our group test drives these 4 big coupes. 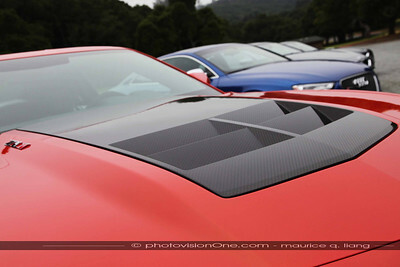 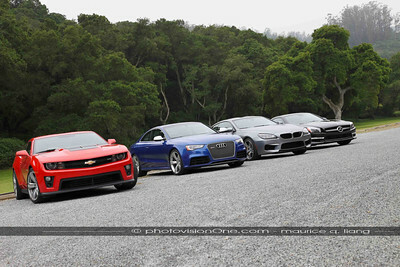 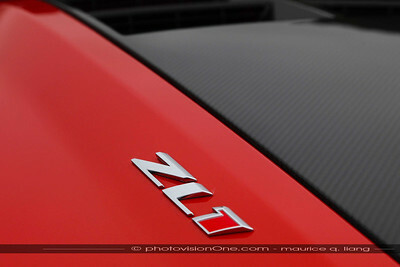 Camaro ZL-1, Audi RS5, BMW M6, and Mercedes AMG SL65 for back-to-back comparisons. 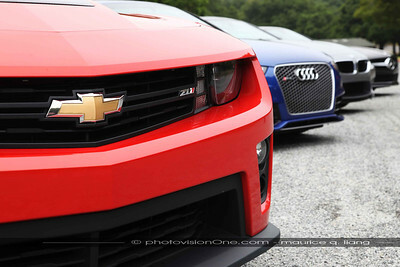 Camaro ZL-1 is best bang for buck in this group. 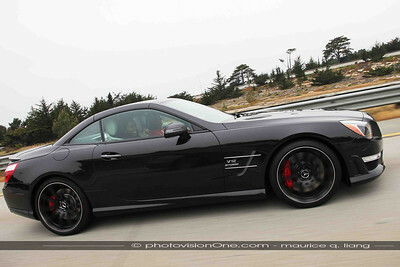 Diedra from Mercedes rides shotgun in the SL 65. 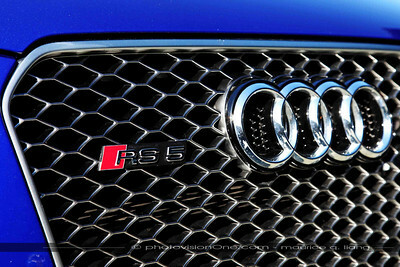 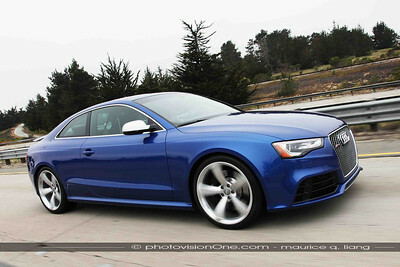 The Audi RS5. 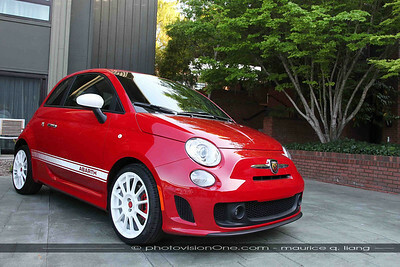 Lightest, most nimble, but with some front wheel drive torque steer.